The Commonwealth Baton is here! A recap of Day 1 of the visit to Barbados – Barbados Olympic Association Inc.
Barbados has welcomed the Commonwealth Baton with open arms and hearts! The official handover of the iconic baton took place in a formal ceremony on Thursday March 6 when the Guardians of the Baton handed the beautifully crafted titanium, elm wood and granite piece to the Governor General of Barbados. The short ceremony was attended by the British High Commissioner to Barbados, Victoria Dean; the Canadian High Commissioner to Barbados, Richard Hanley; Honorary Treasurer of the Commonwealth Games Federation (CGF), Austin Sealy; Royal Commonwealth Society (RCS) chairperson, Dame Maizie Barker-Welch; President of the Barbados Olympic Association (BOA), Steve Stoute; other members of the BOA Executive Council and the official Guardians of the Baton including CGF Regional Vice-President for the Caribbean, Fortuna Belrose. 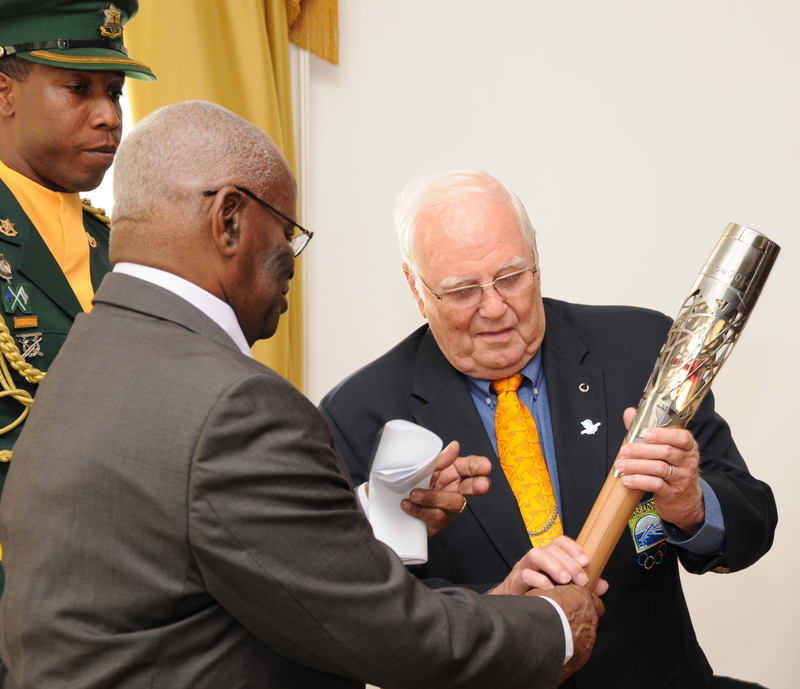 The Governor General of Barbados presented the baton to Steve Stoute who then carried it to the steps of Government House where it was handed to the British High Commissioner, marking the start of the 8k local relay and planned festivities. From there, it was a non-stop celebration as music accompanied the baton as it changed hands from athletes, to school children, and even a national hero and global sports legend. 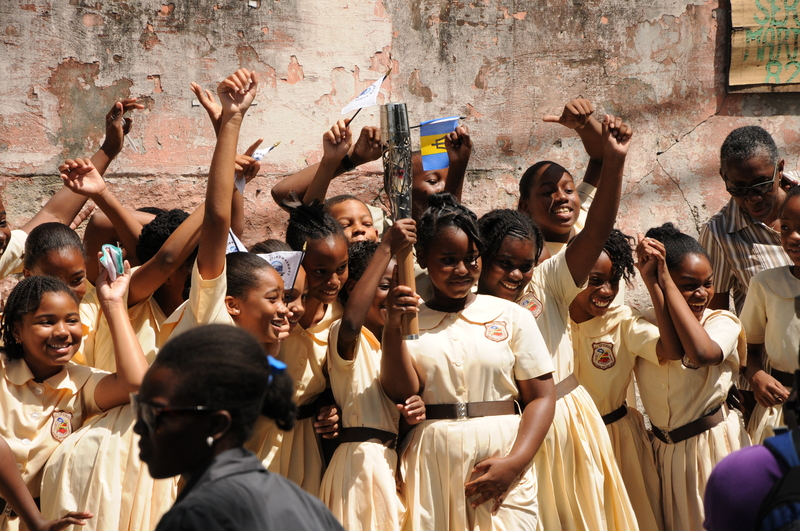 School children lined the route cheering as the baton passed and waving both British and Barbados flags. The Hon. Madam Justice Sandra Mason completed one of the first baton handovers, accompanied by several students from the Hilda Skeene Primary School. From there, the baton travelled with the Women and Sport Commission before changing hands from athletes representing badminton, to boxing, cycling, netball, rugby, track and field, triathlon, table tennis, swimming, shooting and weightlifting. 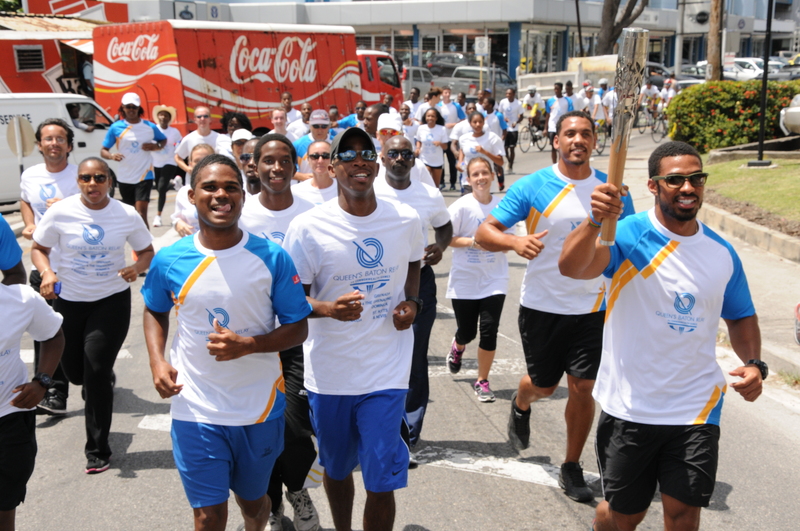 Numerous pictures were taken along the route as everyone was encouraged to touch the baton and interact with the athletes. From toddlers to adults, everyone wanted to participate in this historic occasion. 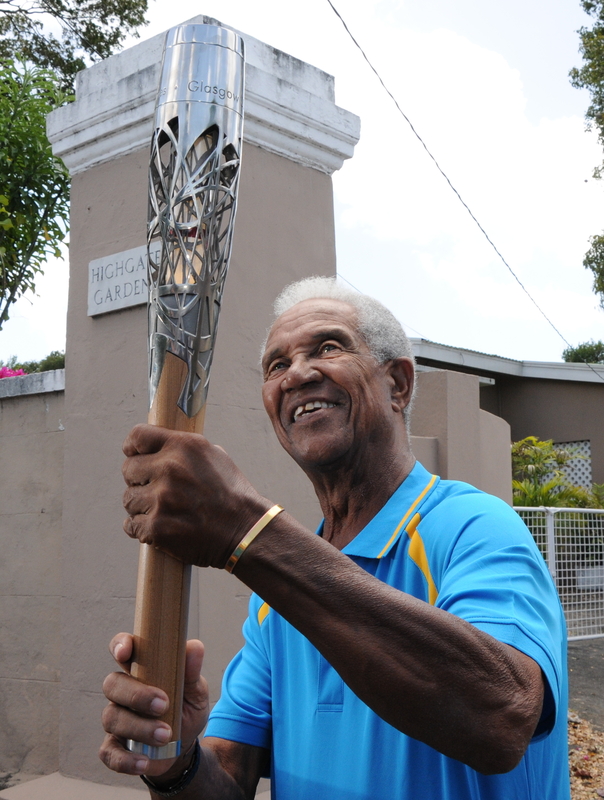 One notable highlight was the crowd that gathered when the baton stopped outside the residence of national hero and cricketing legend, Sir Garfield Sobers. The great man himself was waiting roadside and he smiled broadly as he posed with the baton and athletes. The final leg was completed by Anton Norris, Barbados’ first Commonwealth Games medalist. Leading the crowd of relay participants, Anton proudly carried the baton through a guard of honour formed by young cadets holding the flags of the Commonwealth. This fantastic spectacle was the perfect way to end day one of the baton’s visit to Barbados. Look out for an update on day two!